﻿ Best Price on Holiday Inn Resort Nassau in Nassau + Reviews! 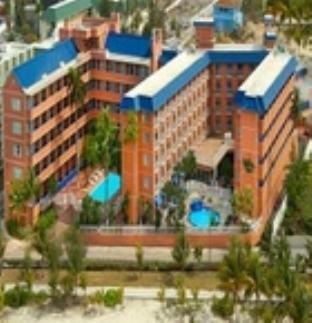 Holiday Inn Resort Nassau, located in Downtown Nassau, Nassau, is a popular choice for travelers. From here, guests can enjoy easy access to all that the lively city has to offer. With its convenient location, the hotel offers easy access to the city's must-see destinations. Simply put, all the services and amenities you have come to expect from InterContinental Hotels Group are right in the comfort of your own home. The hotel offers access to a vast array of services, including room service, business center, babysitting, restaurant, laundry service. All guest accommodations feature thoughtful amenities to ensure an unparalleled sense of comfort. The hotel offers an excellent variety of recreational facilities, including fitness center, massage. With an ideal location and facilities to match, Holiday Inn Resort Nassau hits the spot in many ways.